The supply of a free magazine is limited only to UK residents who are aged 18 and over and magazines will only be sent to a verifiable UK postal address. The offer is limited to one copy of the magazine per UK postal address. Neither What Pool & Hot Tub. 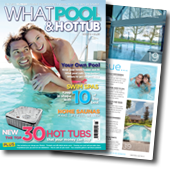 www.whatpoolandhottubmag.co.uk or Aqua Publishing Ltd are affiliated to any company from which you may receive product literature. 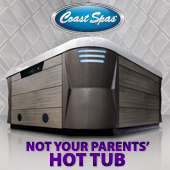 Neither What Pool & Hot Tub, www.whatpoolandhottubmag.co.uk or Aqua Publishing Ltd warrant any products that you may go on to purchase as a result of receiving product literature. We respect your right to privacy. Our relationship with you is of value to us and we understand the importance that you place on the privacy and security of information that personally identifies you. In that respect, whether you are a first time visitor to our website or a regular user, we take your privacy seriously and this policy sets out the basis on which your personal data will be collected, stored and processed. 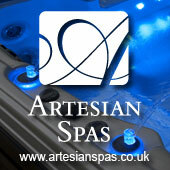 “What Pool & Hot Tub’ magazine and the “whatpoolandhottubmag.co.uk”, website (referred to in this policy as “we”, “us” or “our”) are trading names of Aqua Publishing Ltd – the data collector for this website. Aqua Publishing Ltd‘s Registered Company Number is: 08237875 and our Registered Office is: 73 Langmore Court, Bexleyheath, Kent DA6 8BZ. We use return email addresses to answer any emails we may receive. Such email addresses are not used for any other purpose and are not shared with outside parties. We offer a free electronic emailer (newsletter) to users. We gather the email addresses of users who subscribe to this service and opt-in. Users may remove themselves from this mailing list by following the instructions provided in every emailer sent. When a visitor requests a free of charge copy of What Pool & Hot Tub magazine from our website, we collect personal data, including: name, postal address, telephone number and email address so that we may complete your request. We track visitor traffic on our website, however we do not cross reference this information with data about individual users. We may also break down overall usage statistics according to a user’s IP address, domain name, browser type, and MIME type by reading this data from information contained in every visitor’s browser. Unless they are already legally bound to keep your personal data confidential, we shall enter into agreements with anyone to whom we disclose your personal data, obliging them to keep your personal data confidential. We will protect the data that you provide to us via appropriate security measures and controls. No personal data which we collect is held online. Any personal data which we process is done so by Aqua Publishing staff located in the UK and we have ensured that appropriate protections are in place to make sure your personal data remains sufficiently protected and is treated in line with relevant Data Protection laws. At your request we shall make any amendments that you stipulate to the personal data that you have supplied to us. If you require it, we shall also remove your name and personal data from any database or system where it is held. Please note that each amendment or erasure request will be reviewed on a case-by-case and where we have a lawful reason to retain the personal data, it may refused. 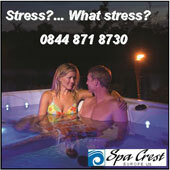 What Pool & Hot Tub is the UK's only consumer magazine that covers ALL of the wet leisure sectors. 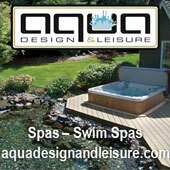 What Pool & Hot Tub advertising is cheaper than you may think. Why not download a media pack! 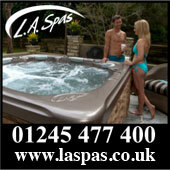 What Pool & Hot Tub advertising lasts for a full year both off and online – representing great value!